Transoms are definitely making a comeback in new constructions throughout the United States. These unique windows are typically smaller windows that frame larger windows or doors in order to provide more sunlight. Transoms can also be housed within older homes in doorways and between rooms. 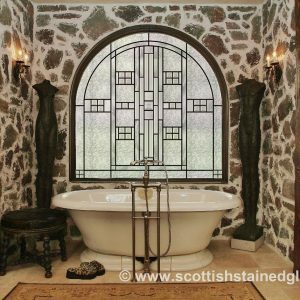 Stained glass is a great addition to any transom offering beautiful prisms in your home whenever hit by sunlight. Window coverings are far from ideal for transoms, causing an undesirable look and high pricing due to unique dimensions and hard-to-reach places. Stained glass is the perfect privacy solution for transoms– obstruct unwanted views from your neighbors while still maintaining natural sunlight in your home. Stained glass transoms not only optimize curb appeal, but they also increase the value of your property. Transoms in newer builds typically are clear plated glass that naturally brighten your home but don’t offer any aesthetic benefits. 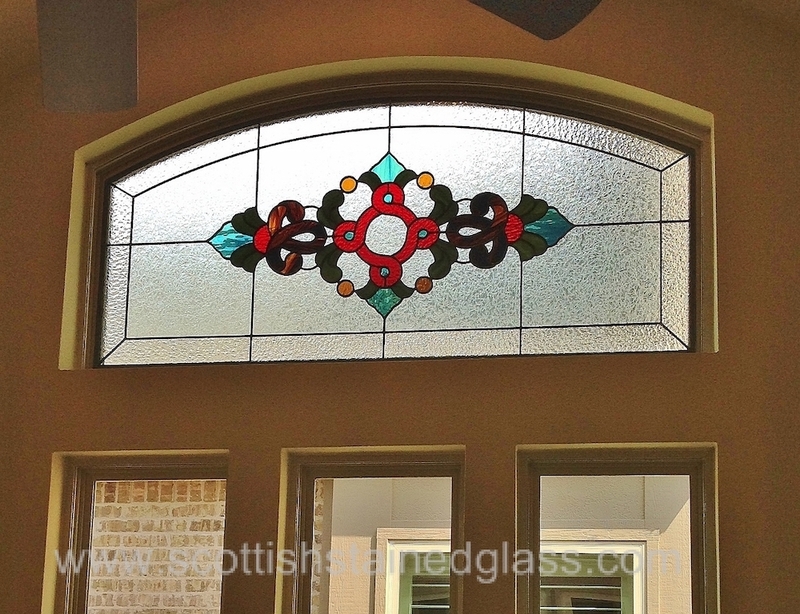 Leaded glass or colorful, traditional stained glass lends beauty and unique design elements throughout your home. Interior transoms can look outdated especially when left in their original condition. They can definitely look out-of-place but can lend character to any home. By installing custom stained glass to your interior transoms, you can add permanent art and timeless decor. Improving your interior transoms can heighten the character of your home, improve property value, and give you the opportunity to add a splash of color or family crest. Our custom stained glass builder application allows you to build stained glass for your specific dimensions. We welcome you to play around with your design to discover the endless possibilities. If there is a specific design element you’re looking for that doesn’t match with what’s available in the builder, please give us a call! One of our stained glass artisans is happy to work directly with you to create the perfect custom stained glass piece. 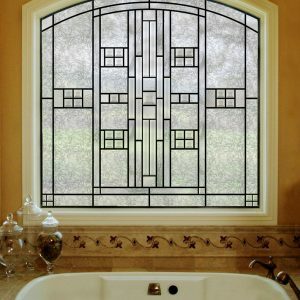 For more information regarding custom transom stained glass, please contact us!